Retail sales of complete aquaponic systems, components, equipment and consumables. Aquaponics consultants. A leading retail Aquaponic & Hydroponic store and consultancy business located in Belmont, Perth, Western Australia. Established in 1990 and with experienced, qualified staff, including a trade certified Horticulturalist, we have the experience and knowledge to provide the Aquaponic solutions you’ve been looking for. Learn everything you need to know to confidently design, build and maintain and Aquaponic system, growing fresh fish and wonderful organic veggies right in your own backyard. See our "Workshops & Seminars" page for more information and to book your place. Expanded Clay - 50L bags of Quality German clay from just $30ea! Buy in bulk and save!... See our "Expanded Clay, Grow Media" page for more details. If you want the best out of your Aquaponic system, you have to put the best in!... Used by professional fish farmers around the world, Skretting fish food fulfils that role. At Perth Aquaponics we have Skretting available in a range of pellet & bag sizes to suit Barramundi, Trout, Silver & Jade Perch, Murray Cod etc, from fingerling through to mature fish. For your convenience it can be purchased over the counter at our Belmont store, or ordered online & mailed to your door!... 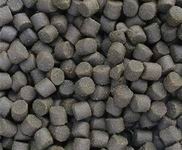 Please see our "Consumables - Fish Food" page. 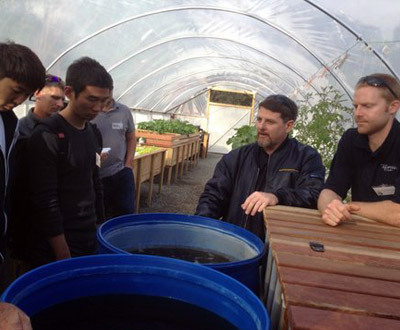 Perth Aquaponics regularly run one day “Introduction to Aquaponics” training workshops. These informative, hands-on workshops are ideal for those new to aquaponics and looking at buying or building their own aquaponic system, or those with an existing system that simply want a little more information and guidance so as to maximise the results from their system. The morning is spent in a seminar room learning all the important aspects of designing, building, commissioning and maintaining an aquaponic system. A catered lunch is provided, after which the afternoon is spent constructing a working aquaponics system. For more detail of the workshop content, as well as upcoming workshop dates, please see our "Workshops and Seminars" page.